are the property of their original owners. News: September 2, 2011: US Government now admits U.S. nuclear reactors are more vulnerable to earthquakes "than previously thought"
1) Strength and Duration. Maritza and I were sitting on the couch watching anime (Zetman), and she said that she thought she felt a quake. I had my had on her thigh, and I could feel the water and flesh of her thigh vibrating. I said that I felt it, too. The animals were looking up very puzzled by the quake. The quake lasted over thirty seconds. 2) North-South Alignment with other quakes. There had just been seven hours before an Earthquake in Sonora [M4.4 - 16km SE of Alamos, Mexico 2014-06-28 21:09:43 UTC, depth=18.3km (11.4mi)] and one just minutes before in Utah [M3.2 - 13km S of Mount Pleasant, Utah 2014-06-29 04:52:46 UTC, depth=5.3km (3.3mi)], and if you drew a straight line between them, that was very close to where the epicenter of this quake hit in Duncan, Arizona. 3) Nuclear Danger. We have a nuclear reactor called the Palo Verde nuclear plant that is only about 250 miles from the epicenter in Duncan, Arizona. There is also a Nuclear Waste plant in Carlsbad, New Mexico, some 300 miles to the east of the epicenter, which has been having serious problems with radiation leaks. 4) Depth. The depth of the quake was very shallow, and these are the most dangerous: it was only two miles below the surface of the Earth. The only other time that I felt an earthquake in Tucson was four years ago on Sunday, April 4, 2010, when in the afternoon there was a 7.2 earthquake in Baja Mexico, which was felt strongly in Tucson, and even caused water to be tossed outside of swimming pools here in town and also in California. Here also the depth of the quake was only 6.2 miles, which means it was poorly constrained and very dangerous. Here's an ABC news story on that Baja Quake. (Reuters) - A 5.2-magnitude earthquake near the border of Arizona and New Mexico rattled a significant swath of the U.S. Southwest late Saturday but caused no major damage or injuries, the United States Geological Survey said. The earthquake was centered about 31 miles (50 km) northwest of the city of Lordsburg, New Mexico, and could be felt some 150 miles (240 km) west in the city of Tucson, Arizona, and 300 miles east (480 km) in Roswell, New Mexico, the USGS and local media reported. The quake hit at 9.59 p.m. local time at a depth of about 3 miles (5 km) and was followed by two small aftershocks, the USGS said. It knocked pictures from walls and caused light fixtures to swing, local media reported. It also prompted scores of people across the region to call 911. In the southeastern Arizona town of Thatcher, residents saw roads and structures swaying. "It just kept shaking and shaking, and I grabbed the arm of the girl next to me," Jennifer Taylor, a dispatcher for the Graham County Sheriff's Office, told KPHO-TV. "We went out to the patio and looked up and our radio tower was shaking." In El Paso, Texas, about 150 miles (240 km) east of the epicenter along Interstate 10, local officials tweeted that staff inside the El Paso International Airport control tower said they felt the quake. http://www.homefacts.com/earthquakes/New-Mexico/Hidalgo-County/Lordsburg.html, which said that in the next 50 years, Lordsburg had only an 11.29% chance of having a 5.2 quake. The USGS database shows that there is a 15.86% chance of a major earthquake within 50km of Lordsburg, NM within the next 50 years. The largest earthquake within 30 miles of Lordsburg, NM was a 3.2 Magnitude in 1981. The U.S. Geological Service reported a 5.2 magnitude earthquake that was felt across Southern Arizona. It originated about 30 miles northwest of Lordsburg, N. M. Officials say that it was felt strongest in Greenlee and Cochise counties in Arizona. The USGS will be receiving reports from sensors around the world during the next several hours and could revise the magnitude as more accurate numbers come in. The communities of Safford and Willcox likely felt some of the strongest shaking - The small community of Duncan, AZ is the town closest to the center. Information released in this statement is preliminary. Updates...Including Richter scale magnitude...will be provided as more information becomes available from the National Earthquake Information Center in Golden Colorado." Tucson News Now has been flooded with calls from people all over Tucson and neighboring cities and towns with reports of feeling tremors. Reports have been coming in from Greenlee, Graham, Cochise, Santa Cruz, Gila, and Pima county tonight. An aftershock has already been generated, but it was significantly smaller than the first earthquake - The aftershock measured 3.5 at 10:08 PM. 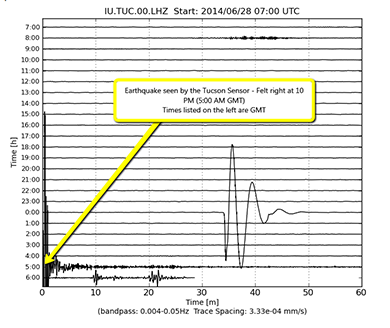 The earthquake that hit Southern Arizona on Saturday night at 9:59 PM is rare, no…its extremely rare. The 5.2 magnitude earthquake centered in Southern Greenlee County gave people a jolt from Safford to Douglas, Sierra Vista to Tucson. It only lasted for a few seconds, but it was strong enough that many people stopped what they were doing to pay attention. Although no injuries or damage was reported, we wanted to take a look at how rare these events really are. Unlike California, Arizona experiences very little seismic activity. Not including the most recent quake, the USGS records show only eight earthquakes measuring 4.0 or larger since 1973. Interestingly enough, if you look at earthquakes measuring 5.0 or higher, that number drops to just three quakes, with the largest measuring at 5.3 near Flagstaff in 1993. A study published by the USGS in 1970 shows only 12 moderate earthquakes inside the borders since Arizona became a state in 1912. According to the USGS, "no earthquake in recorded history has caused deaths or injuries in Arizona." The earliest documents which describe Arizona earthquakes were those recorded at Fort Yuma, located in the 1800's on the California side of the Colorado River. Shocks which probably centered in the Imperial Valley of California, or in Mexico, have been noted there since late 1852. No earthquake in recorded history has caused deaths or injuries in Arizona. 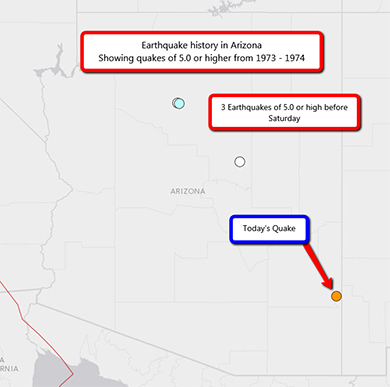 In the past century or more, 14 tremors of intensity V to VII have centered within its borders, of which 12 were reported after Arizona entered the Union in February 1912. 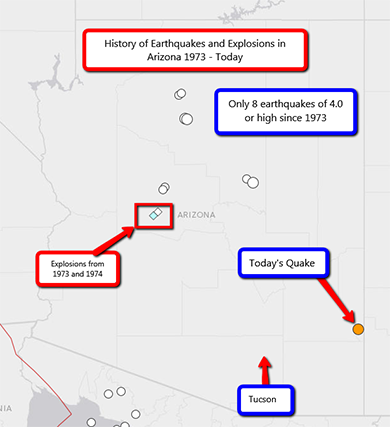 All of these shocks, however, were moderate in intensity, with one intensity VII, one VI-VII, four VI, and eight V.
The first damaging earthquake known to have centered within Arizona's borders occurred on January 25, 1906, the year of the great San Francisco earthquake, and of a damaging series of shocks at Socorro, New Mexico. The shock was violent at Flagstaff, about 115 miles north of Phoenix. The cumulative terror produced by a series of 52 earthquakes, from September 10 to 23, 1910, caused a construction crew in the Coconino Forest near Flagstaff to break camp and leave the area. Boulders rolled down on their camp from nearby mountains, and the earth maintained a constant quiver. The shocks grew in intensity until September 23, when a very strong shock raged throughout northern Arizona. It was so severe north of the San Francisco Mountains that Indians fled from the region. A shock that cracked walls and plaster at Wellton, located a few miles east of Yuma in southwestern Arizona, occurred January 2, 1935. Although few residents of the small town were frightened by the tremor, everyone felt the ground quiver, and homes shake. Eight days later, a slightly stronger earthquake awakened sleepers at Grand Canyon, 175 miles north of Phoenix. Many were frightened by the distinct subterranean rumble and the movement of their houses. 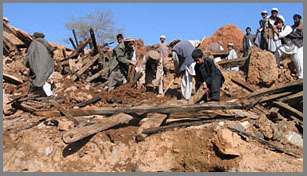 Walls were cracked in some cases, and rockslides occurred in the mountains. Three slight foreshocks were felt by Grand Canyon residents during the first week of January, and one very minor aftershock was noted on January 15. On January 16, 1950, a strong earthquake in Apache County left several cracks in the ground as it rumbled through the small town of Ganado. The cracks, one-half inch wide and up to 12 feet long, extended in a north-south direction near the Ganado trading post. For a list of earthquakes that have occurred since this article was written, use the Earthquake Search. A major earthquake has hit New Guinea again, following yesterday's 5.7, and the 6.4 from March 14th. Also, earthquake reporter Dutch Sinse is reporting that Google has suspended his account as of today, and Terral Croft is reporting that six members of his reporting team are "under attack." The timing of all of this, just after Croft's press release from Sunday the 18th predicting these events, seems very suspicious. Both earthquake reporters have tied the U.S. government HAARP Project to earthquakes. 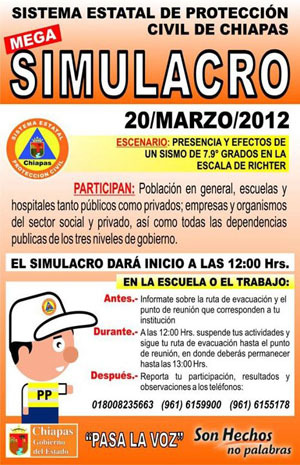 Especially disturbing is the emergency drill that was staged in the state of Chiapas, Mexico for an earthquake of magnitude 7.9, when the 7.8 earthquake struck in the nearby state of Guerrero only two minutes difference from the simulation drill. Add to this strange confluence of events that Obama's daughter was visiting in the area of the earthquake. A major earthquake has hit southern Mexico, centered in Oaxaca, and reaching Acapulco and Mexico City. See this L.A. Times page for videos and photos from the incident, as well as this article from London's Daily Mail. 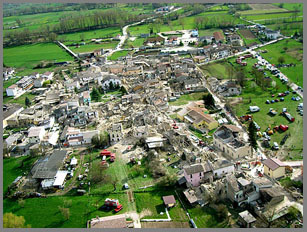 By the last account, over eight hundred homes were damaged by this quake. As unbelievable as it sounds, Pres. Barack Obama has signed an executive order that may be paving the way for peactime martial law in the United States. On March 16th, he signed the "National Defense Resourches Preparedness" order as law. You can view the list of Obama executive orders and keep an eye on future press releases from the White House.gov website. A small group of non-professional earthquake analysts out of St. Petersbug, Florida have offered a press release on March 18th, and are expecting a major earthquake to occur by Thursday, March 22, 2012. Our research team anticipates that HAARP multi-frequency wave signatures will begin transmitting on March 19, 2012 at 4:58:34 UTC precisely seventy two hours prior to the expected event. The team also expects to see increased four to six magnitude quake swarm activity at the ‘event’ location. 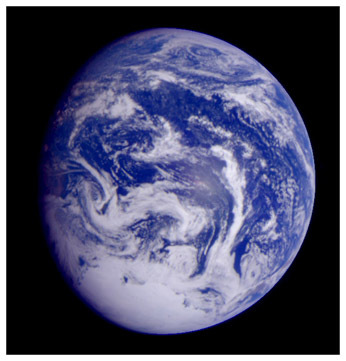 Everyone living in or around a seismic area should be warned to brace for one of the top five seismic events in recorded history on March 22, 2012 right around the equinox." Geological Survey) that indicates a pattern of their office downgrading earthquake magnitudes, after the "event has been reviewed by a seismologist." *The Oregon quake of October 12, 2011 was downgraded from 5.9 to 5.3. *The Vancouver quake of September 9, 2011 was downgraded from a 6.7 to a 6.4. *The Alaska quake of September 2, 2011 was downgraded from a 7.1 to a 6.8.
reporting very unscientific, unsettling, highly irresponsible, and even criminal. are purposely mis-informing the public about the growing scale of seismic disturbances. Update November 15, 2011: Here is another example of earthquake data manipulation through USGS data sources, caught live by an observer on November 5, 2011 as the Oklahoma Earthquakes were occurring. 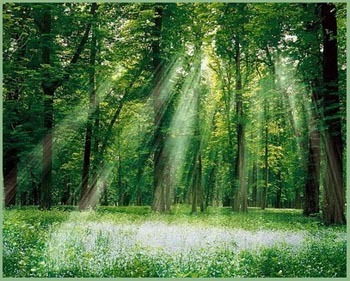 is a contributing factor or amplifier in any way, then we must put forth as much positive and gentle energy as possible, so that all dangerous effects are diminshed to whatever degree that our positive and healing energy can effect such events. The incidents and frequency of large tremors and earthquakes in the middle of April may be cause for greater concern, but if it is, our government and the media haven't let on so far. 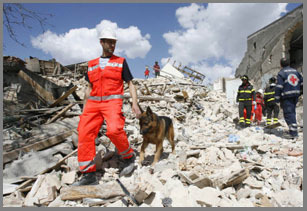 left over 40 people dead and hundreds of homes destroyed, it is obvious that the Earth is in the midst of a period of high seismological upheaval. On all sides of the "Ring of Fire," citizens and scientists should be both concerned and ramping up preparations for the contingency of having to deal with a devastating earthquake. Here in the United States, Hawaii, Alaska, Washington, Oregon, and California need to take these series of seismological incidents very seriously, and our federal government needs to be prepared to help the states now for major earthquake preparedness. Risk management experts suggest that a 7.0 earthquake in the San Francisco area "could kill 4,500, injure 50,000, leave hundreds of thousands homeless." which pushes under North America. 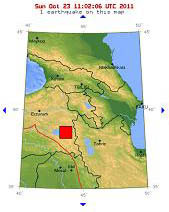 The last large earthquake in that region was in 1700 of a 9.0 magnitude, equivalent to 30,000 6.0 earthquakes. Coastline cities around the Ring of Fire need to immediately step up preparedness efforts and public information efforts in order to minimize loss of life to humans and animals. 1) E-mail circulating Singapore warning of impending earthquake around July 22nd, the same day as a solar eclipse. 2) Native-American warnings to stay away from the coastlines, especially those areas with nuclear reactors which will poison the water should they be damaged or submerged due to earthquake or tsunami. This is of special concern for Japanese residents in the Kashiwazaki-Kariwa area where the world's largest nuclear power plant has just been re-activated after being shut down two years ago following a 6.8 earthquake on July 16, 2007. 3) News articles by KING News in Seattle and The Economist which suggest earthquake preparedness is crucial. 4) Psychic who warns of a seismic disaster to occur in San Francisco this summer with a track record of high accuracy for thirty years of predictions. 5) Contactee information warning of a high probability of danger from the Juan De Fuca Plate, that would devastate Oregon and Washington states. 6) Yellowstone tremors are ganging together and more frequent. a) A potential smaller number of dead, injured and homeless due to an earthquake and/or tsunami. b) Integration of coastline populations which are generally multi-racial and multi-cultural with the homogenous central United States population, which could bring a greater degree of integration to rural American areas, leading to improved social balance. My feeling is that we might as well look for the positive benefits of foresight, preparedness, and sensible action while we can act before such catastrophes.